The Hospital and its Board wanted the replacement hospital to be represented architecturally as an important community institution. MGA&D’s design for the exterior used massing and color to differentiate the programmatic requirements of the building. 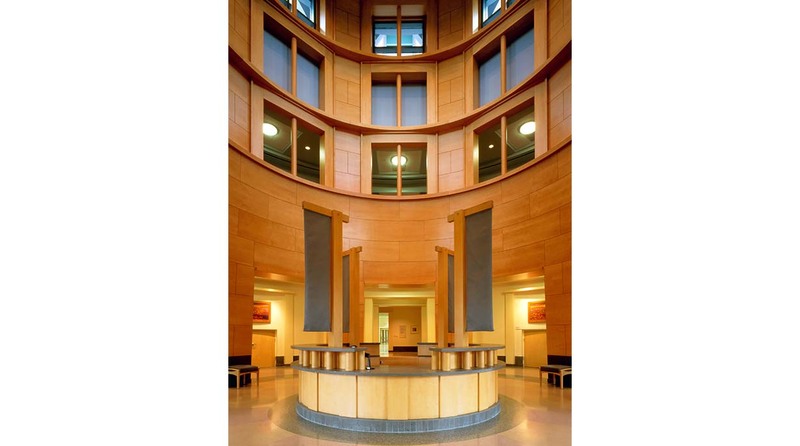 On the ground floor, we grouped reception, classrooms and visitor services surrounding a wood-paneled rotunda that exudes a sense of warmth and welcome in comparison to the more typical large-scale glass atriums found in many modern hospitals.